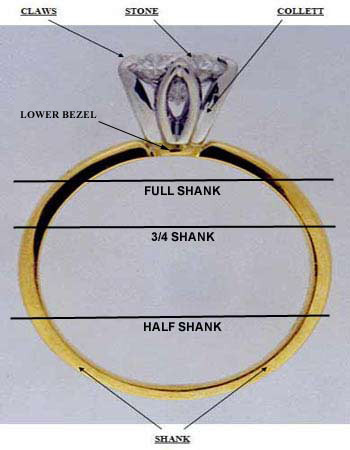 Ring size is not the same as finger size. Watch Workshop branches can determine proper ring size using a set of steel gauge-rings. These "ring sizers" come in narrow and wide widths. Fingers change over the course of the day due to diet or work affecting the results using gauge rings. It has been recommended that fingers be measured at the end of the day, when they are at their largest diameters. Existing fitted rings can also be measured for increased accuracy. Other methods, such as measuring the finger with a strip of paper, or slipping the finger through pre-cut "measuring holes", are inaccurate.